Challenges: I loved the Thursday challenge, “If You Like This, Try This” it was a really fun post and I’m pleased with my book ideas. Today (Friday) I’m hoping to get some work out of the way this morning and then devote the afternoon and evening to reading! And tomorrow is Goal Day, which I am really looking forward to and will hopefully get a bunch of reading done! Happy reading everyone! 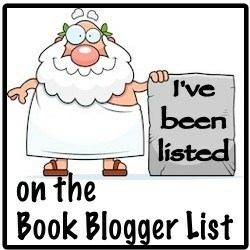 If any of you have more suggestions, I am always looking for new things to add to my TBR list! My review: I was provided a free copy of this book in exchange for an honest and fair review. This is my third book that I’ve finished during the Bout of Books 16 read-a-thon and was also the third one on my goals list. This book is about Cricket O’Malley, who is replacing the catastrophe that was the last florist to grace the town of Misty Bottoms. Cricket recently moved to town after her cousin, Beck, told her there was a job opening for a florist. Also recently arrived in town is Sam DeLuca, who conveniently inherited a house from his aunt across the street from Cricket. Sam has recently experienced some traumatic events back in his detective job in New York City. Cricket sees the sadness in Sam and wants to help him in any way she can. They begin to develop a fondness for each other, and though Sam tries to keep Cricket outside his walls, for some reason he can’t seem to keep her at arm’s length. Overall I really liked this book. I enjoyed the first book in the series and when I saw that the second in the series was available on NetGalley I knew I wanted to read it. Cricket as a character was immensely sweet and had a never-ending wealth of cheer that was very endearing. Sam as a character was a tad too cranky/belligerent for my tastes but he turned it around in the end. Misty Bottoms is an endearing, if somewhat infuriating, town and all the secondary characters really make the story glow with warmth. I loved seeing Cricket’s business be built and flourish in the book, and Sam’s background story with regards to his aunt was touching. This book was really a light and romantic read and I greatly enjoyed it. The bottom line: I really enjoyed this book and this series. This is a light read and just perfect for summer. It is heart-warming and romantic. I would definitely recommend this book as well as the first in the series, The Best Laid Wedding Plans. I’m writing this at the end of Thursday and I haven’t made much progress today but I am hoping to have productive days the rest of the weekend.